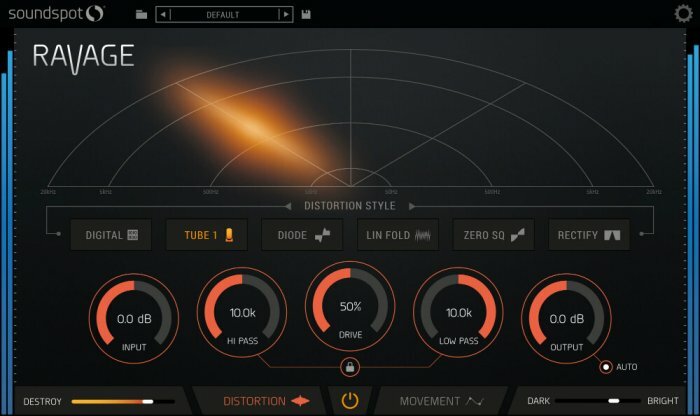 News: SoundSpot Ravage Distortion Plugin For PC & Mac! 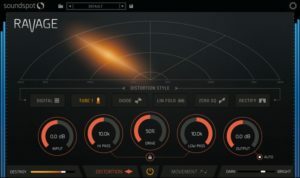 HomeNewsSoftwarePluginsSoundSpot Released Ravage Distortion Plugin For PC & Mac & 65% OFF Intro Sale! SoundSpot Ravage is a brand-new distortion plugin for PC & Mac that includes 6 different algorithms, a filter section, a deep modulation section & more! 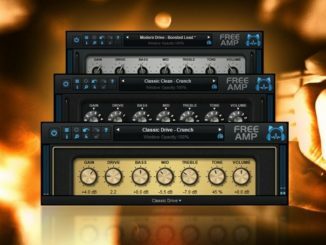 Two weeks ago, SoundSpot introduced a free distortion plugin called Ravage Lite which should be just a taste of the full version. Now the big brother is here. Ravage is a new distortion effect plugin for PC & Mac that features 6 different modeled distortion algorithms. To get more interesting results, it’s possible to use filters or to modulate parameters with custom-drawn LFO shapes. Heat things up with 6 distortion types: Digital, Tube, Diode, Lin Fold, Zero Sq and Rectify. Add movement to parameters using custom-drawn modulation shapes. Destroy parameter pushes the signal even harder through the distortion processor. Pan the distortion across the stereo field . 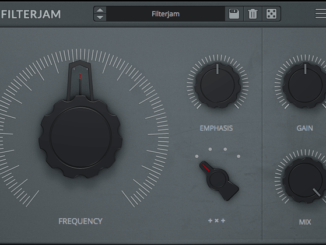 Tailor the distortion response with filtering, input/output gain, and dark/bright weighting. Reverse, Smooth and adjust Pulse Width for modulator signals. Auto output control compensates level when Drive is increased. Oversampling is set intelligently behind the scenes to ensure the best sound quality. SoundSpot Ravage is available now for PC & Mac (VST/AU/AAX) priced at $69 USD (65% OFF intro discount), regular $199 USD. TUNNELS By Olympia Modular Is An Infinitely Expandable Multiple Module & Now On Kickstarter! 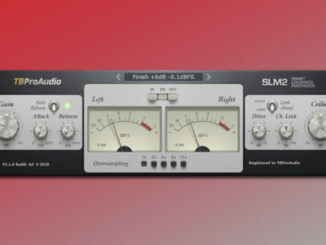 Expert Sleepers Released Disting Mk4 Firmware Update 4.9 With Stereo Compressor & More!